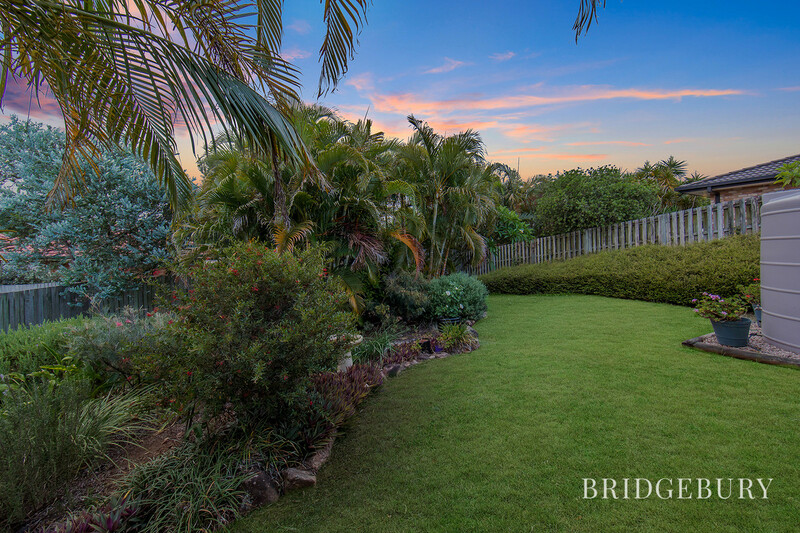 It is with great pride that I am privileged to present to the market for the very first time, this immaculate and much-loved family home, enjoying an elevated position and breathtaking established tropical gardens ready to welcome its new owners. If you are looking to live in convenient suburbia, with excellent schools nearby, a railway station within minutes and easy access to the M1 not to mention a variety of nearby shops, childcare and healthcare facilities but also crave the privacy and tranquillity of rural living then I welcome you home to 1 Prussian Street, absolute serenity in the suburbs! 16 Years ago, this Villaworld built home and its elevated and generous 710m2 corner block was the ideal spot for my owners to call home. 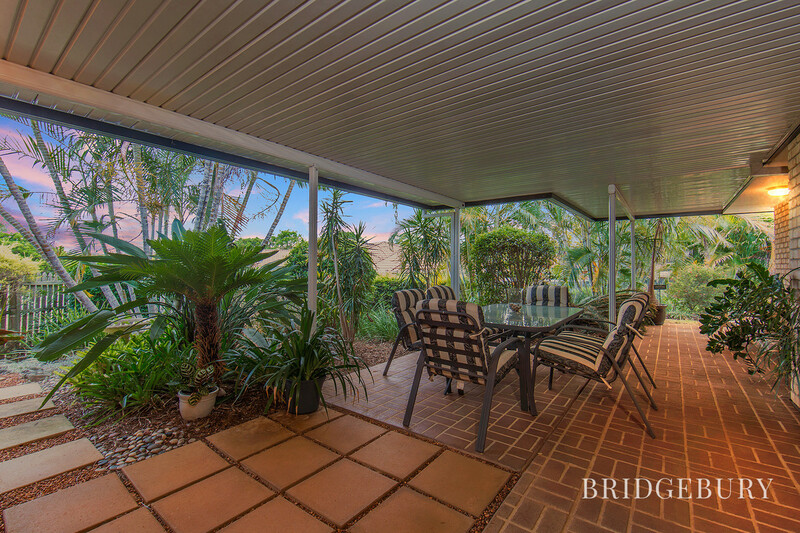 The benefit of the elevation meant for cooling breezeways and its clear that the current owners have poured their hearts and souls into creating a beautiful and impeccably maintained warm and welcoming family home. 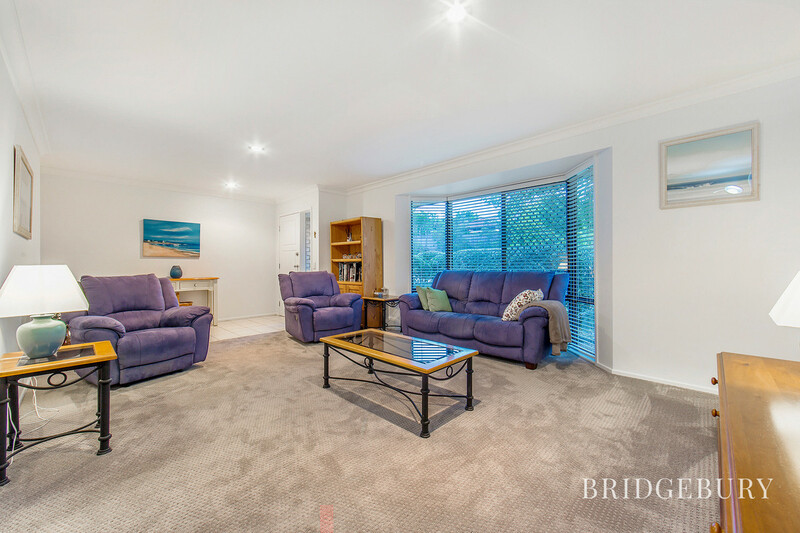 The generous family lounge room is Air Conditioned and enjoys a front aspect via stunning bay windows which allow the light to flood through this lovely home which with neutral tones feels lovely and airy. 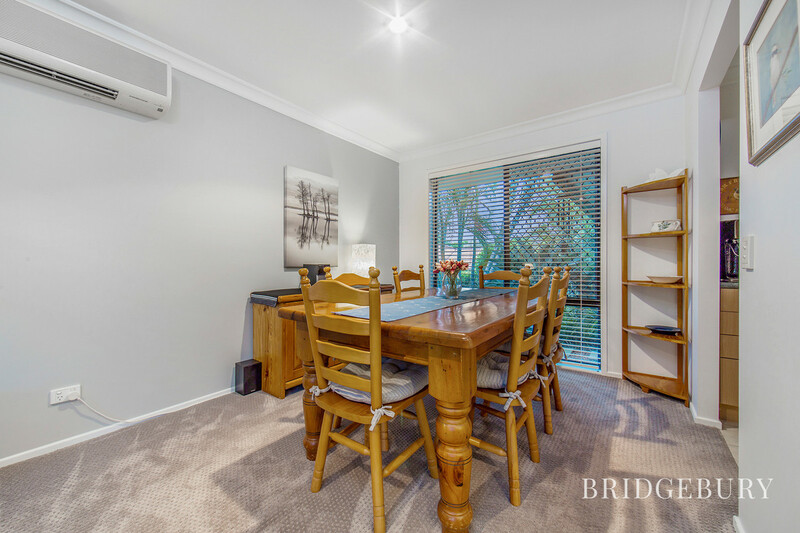 The dining area enjoys a rear garden aspect and is conveniently located close to the kitchen making a perfect spot for the family to dine together whilst catching up on the daily events. 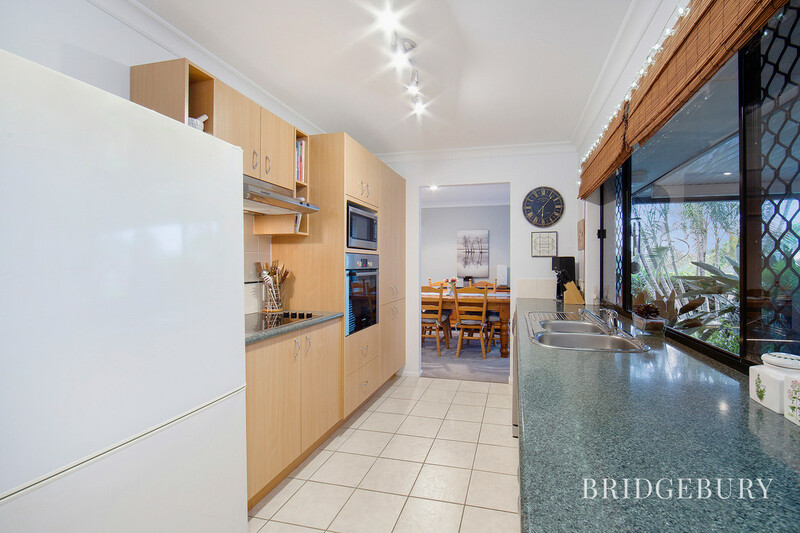 The kitchen despite its original status is not only immaculate and in new condition but offers plenty of benchtop space and cupboards for storage. 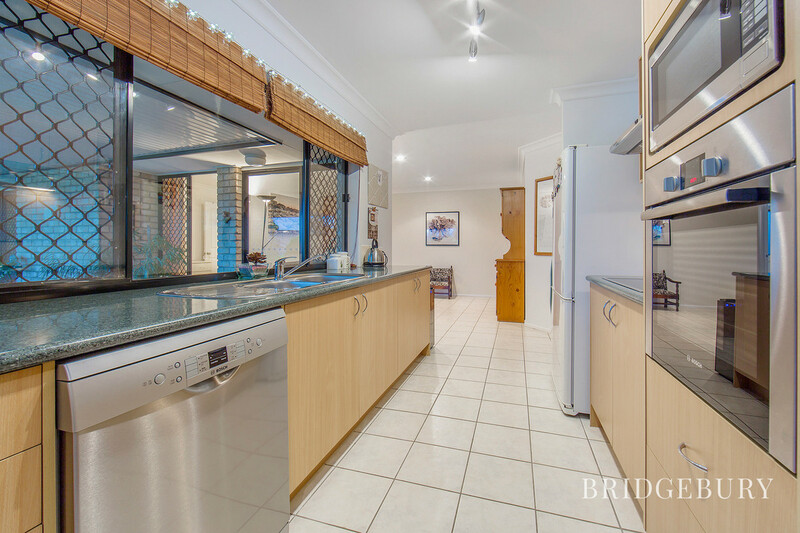 The appliances are only four years old and its without question that the chef of the household will be right at home here whipping up culinary delights whilst enjoying that beautiful rear garden outlook. The second living area could be used as an informal dining or lounge area and offers access to the alfresco area via double sliding patio doors. 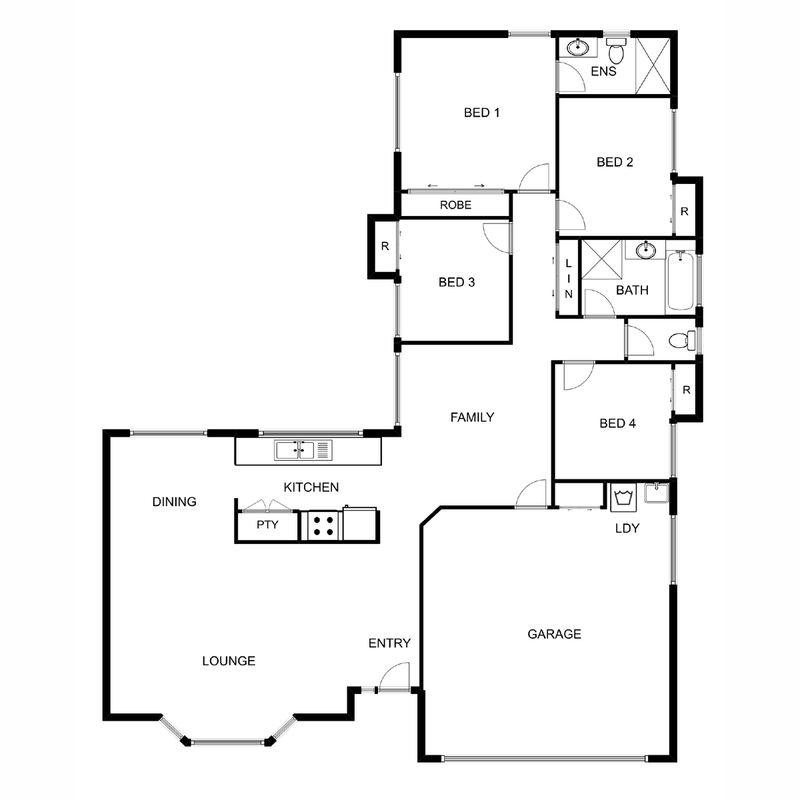 All four bedrooms enjoy built in robes with the master offering en-suite, Air Conditioning and double sliding patio doors leading out to the undercover entertaining area. Once again, another room to enjoy that amazing rear garden picturesque outlook. 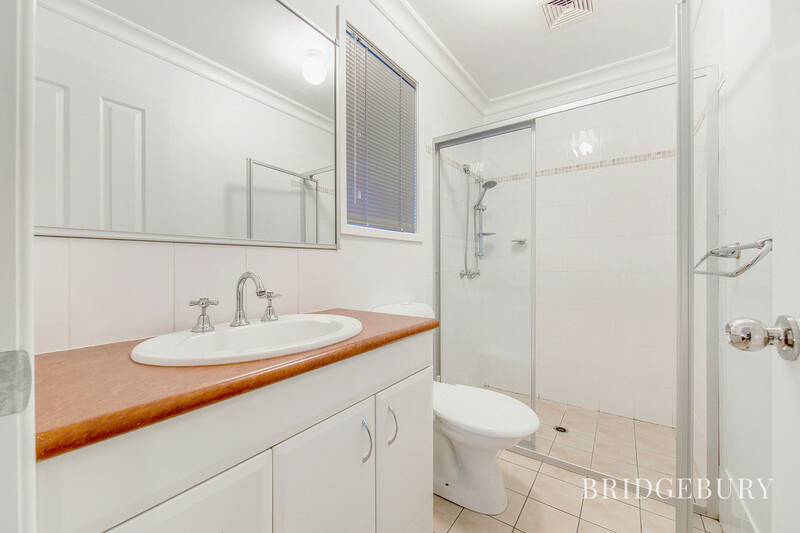 The main bathroom with separate W.C ensures that the guests are well looked after. Head outside where you will find yourself in the most serene and simply relaxing and generous undercover entertaining area. 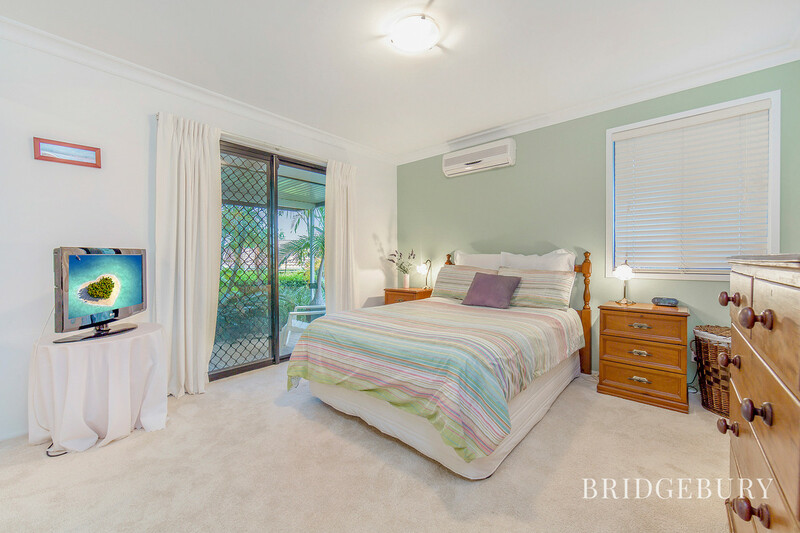 The gardens, which have been a soft spot for the current owners are nothing short of a tropical paradise with two lawn areas fringed with established landscaped gardens will ensure that the kids and furry kids are very happy indeed. 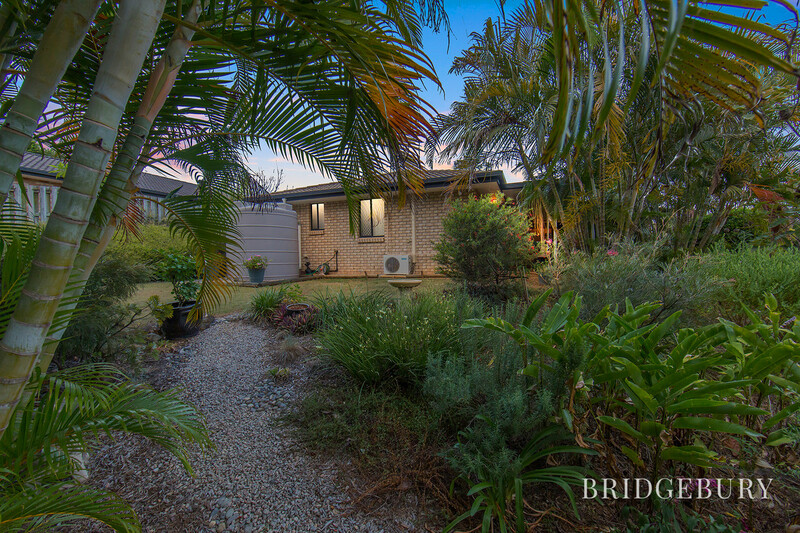 Kick back and relax whilst reading a book in peace or light up the barbeque and entertain the family, either way it’s a beautiful place to enjoy after a busy week which invites an array of birdlife to be enjoyed by all. If the 710m2 is still not enough space and the pups need more room to stretch their legs, head to the Evergreen Parade Park or Vermillion Reserve which are both within a few minutes’ walk. 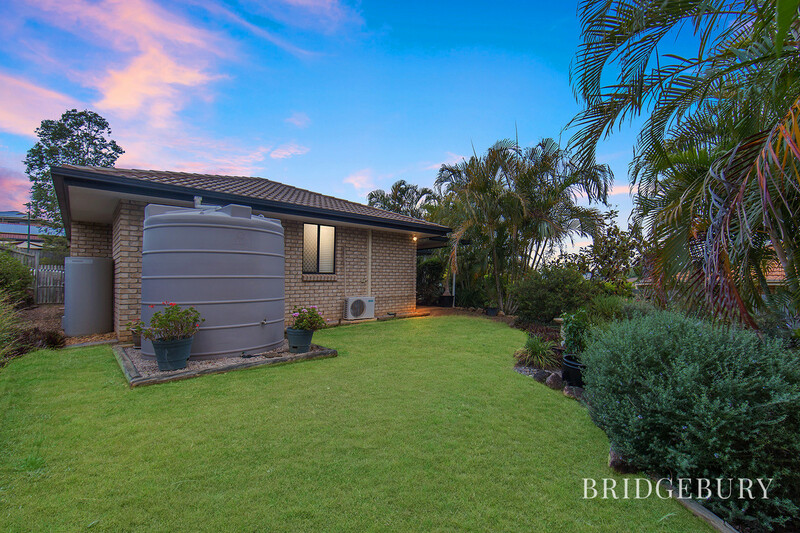 The 5000 ltr rainwater tank helps keep the yard looking lush! 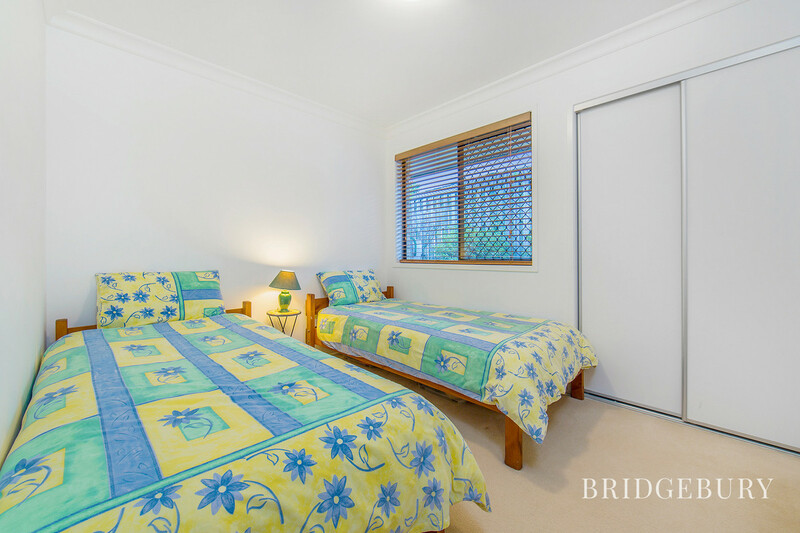 This property is located within four minutes from the M1 and less than 2 minutes away from Murrumba Down Train Station. 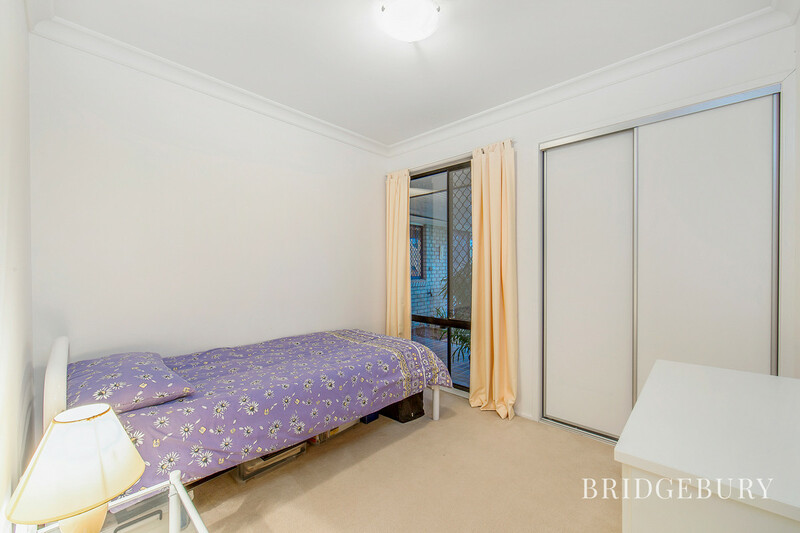 The CBD is literally 35 minutes away and Brisbane Airport only 20 Minutes from the front door. 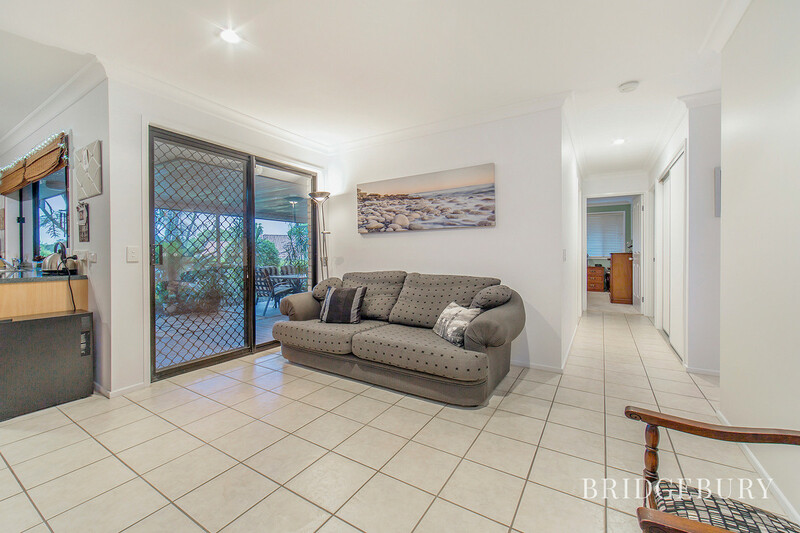 The beautiful Sunshine Coast is only 40 minutes away and local shopping needs can be taken care at either Griffins new retail hub which is just around the corner or Murrumba Downs Shopping Centre which is within 5 minutes. 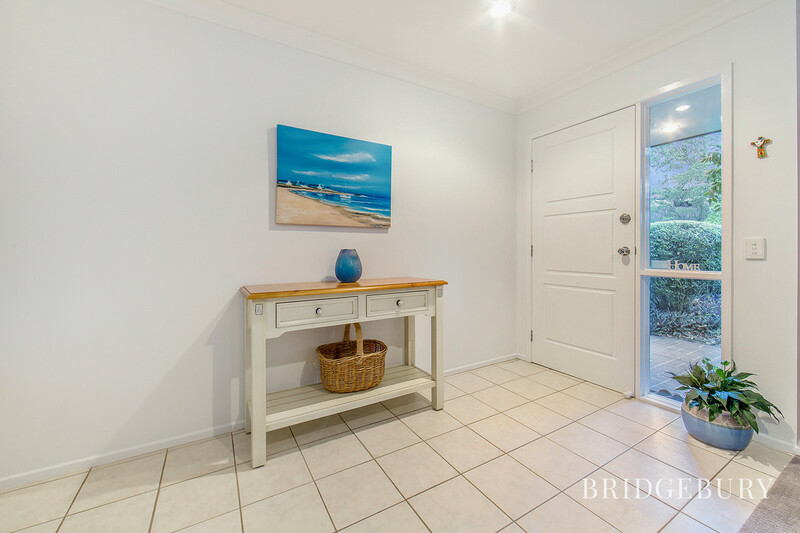 Westfield North Lakes is within 5 minutes away which is home to every conceivable retail and dining options including Ikea, Event Cinema and much more. Costco is also nearby in North Lakes. 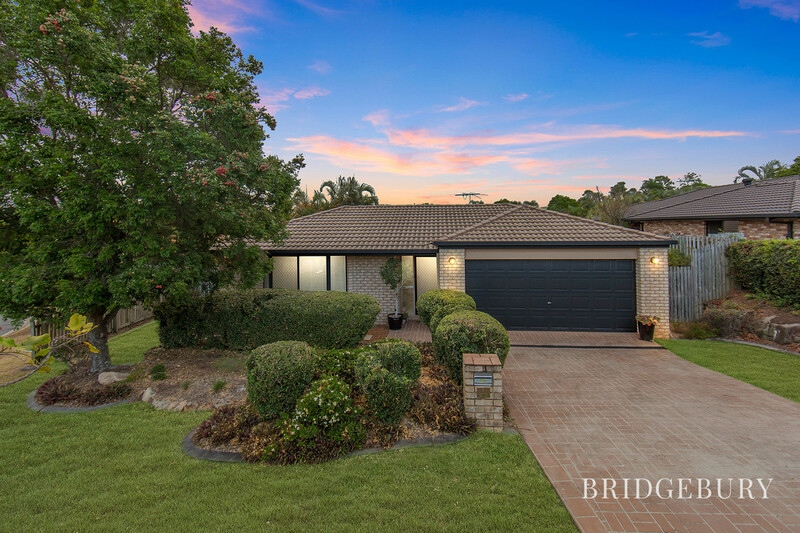 On top of all of this we are excited to await the brand-new Sunshine Coast University which will arriving in nearby Petrie, placing it within a 10-minute drive making this hot spot a great investment! 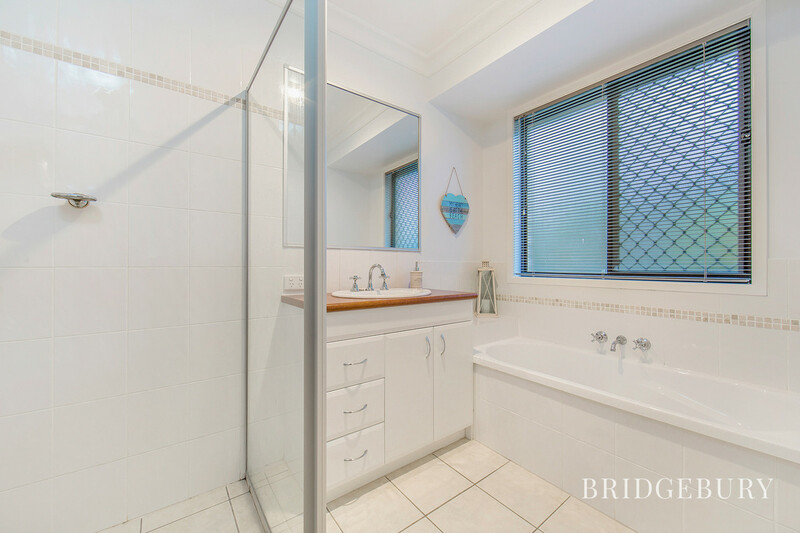 This lovely property is going to attract, please call David to express your interest on 0449 144 833. I moved here 16 years ago when the house was brand new and set out to create a little sanctuary in suburbia. Since the garden has matured it attracts a variety of beautiful birds who come daily to frolic in the bird baths. 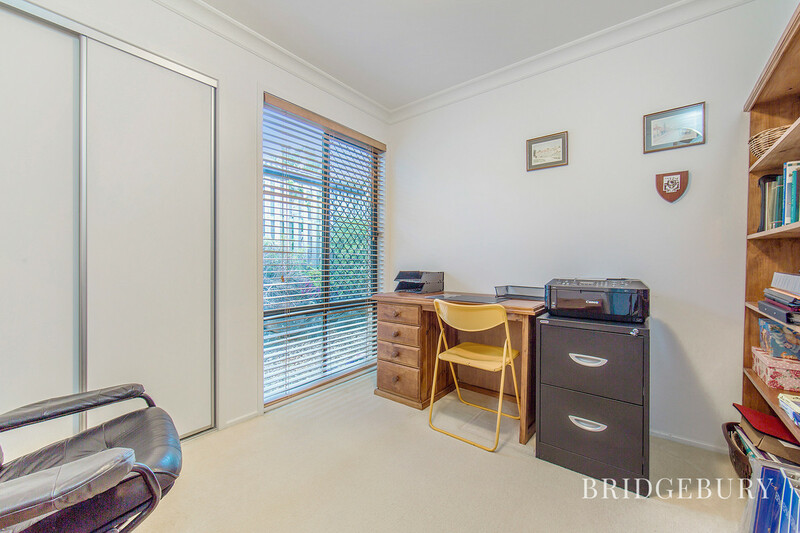 I have enjoyed the peace and privacy living here whilst being close to shops, transport and the bay. I hope the new owners will be as happy here as I have been.